A townland of 219 acres in Upper Dundalk, Co. Louth. Timeline of COULTER-BRADFORD connections to Cavananore by Wendy Jack. NOTE: This complements the timeline that I have cobbled together at the bottom of this page. Mine includes a somewhat different list of events, and lacks some of her helpful interpretations. Samuel BRADFORD's connections to Cavananore (a multigenerational family dispute). I have also transcribed the cancellation book records for Cavananore. Family tree of Patrick LYNCH, farm manager for Sir Thomas JACKSON. This is what Cavananore looked like shortly after the additions were completed in 1952-1953. On the right hand side of the house, there had been a wing of the house that was destroyed in a fire. I believe the fire was in 1923, but I do need to double check the news reports of the day. This aerial photo was taken in about on April 15th, 1985. The enclosed ploughed area to the right of the house was the original walled garden. This is what the house at Cavananore looks like today. The wing on the right was added after the house was burned down. It is currently an operating farm. This is what Cavananore looked after it suffered from an extensive fire. The fire was started by the IRA because the Black and Tans were rumoured to be about to use it as a base. The stone over the doorway cracked from the heat - the patching is still visible. Another shot of Cavananore House. It was much bigger before it was burned than it is now. The wing which burned down was on the right hand side and was slightly wider than the face of the house shown here. We know this because it had 6 windows. There was also a footpath, apple trees, a walled garden and a veggie garden. There were dances held in the loft of the shed. There were also two outbuildings inhabited by tenants. I first heard the name “CAVANANORE” in July of 2003 when Mim MOORHEAD (of Vancouver, BC, Canada) showed me an 1891 letter addressed to Andrew Coulter Bradford JACKSON from his mother Eliza JACKSON. He was the brother and she the mother of Sir Thomas JACKSON. In the letter, Eliza JACKSON mentions that since hedges had been cut down, contrary to the provisions of the lease, now the property was forfeit. What skulduggery was done by whom, emerged in subsequent letters that I was lucky enough to discover. Suffice to say, the land shenanigans of some of our forebearers was one of many factors that loosened the BRADFORD-OLIVER-JACKSON family hold on the land. For as long back as we can see, it was not a land without conflict. The origins of the name are lost in the fog of history (at least to me). The name itself, “Cavananore”, means the “Round Hill of Gold” or “Hollow of Gold” – depending upon whose etymology holds sway (and at this point, I also don’t have a clue about this!). All I know is that Cabhán an Óir is the Gaelic version of the name, and the computer translation sites can’t help me any more with that. As for other particulars, the entire townland is 299 acres, not that our ancestors owned or leased all of that. It is situated in Creggan Parish – a parish which includes much of Co. Armagh as well as Co. Louth. Cavananore is on the Co. Louth side of the border and would have been just north of the line where the English felt safe hundreds of years ago, hence its location would be called “just beyond the pale”. It must have felt safe enough though as it was given to the COULTER family as a consequence of their service in the Battle of the Boyne (1690 – I have no particulars on this at this point). As the crow flies, Cavananore is about 10 km to Dundalk, about 8 km to Carnbeg (home of the branch of the COULTER family that going by landholdings, is most likely also related).It is also about 4 ½ km to Liscalgot and then 5 km to Urker Lodge and a few more km to Freeduff. In time, I will prepare a map with links to a veritable Who’s Who of the family tree attached. It should prove enlightening. Most of the key names were all within walking distance of one another, let alone a short ride on horseback. On Wednesday, March 30th 2005 I had the pleasure to meet Eugene LYNCH and his son Ronan and his wife Marie, the current residents at Cavananore. Christine WRIGHT of Gilford Castle was kind enough to drive me up. 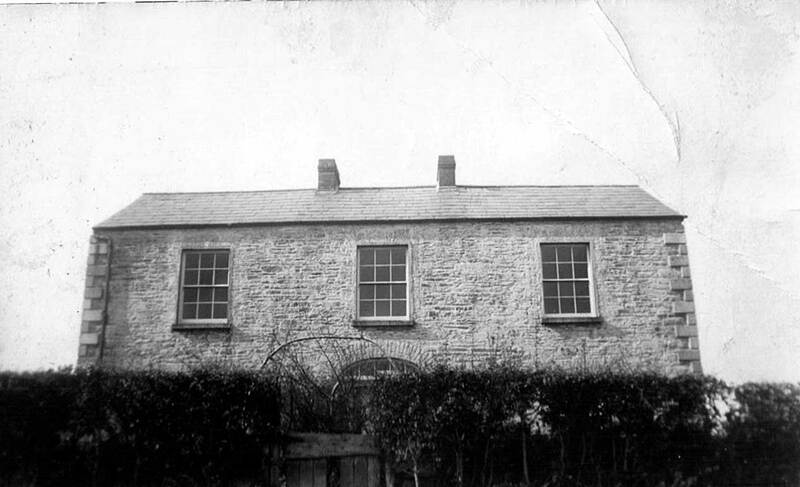 The home of the LYNCH family is just down the road from the original Cavananore dwelling that has housed in its time a succession of COULTERs and BRADFORDs and JACKSONs and OLIVERs. At the time of my first visit, Eugene’s brother, Brendan, lived in the original house and ran the property as a working farm. Brendan sadly passed away on July 1st 2006. Thanks to a December 14th email update from Eugene's son Ronan, I am told that currently residing at Cavananore there is Eugene and his wife Marie, son Ronan, daughters Aine and Denise while another daughter Caroline lives in the neighbouring townland of Culloville. It is a wonderful story how the land transitioned from Sir Thomas JACKSON at the start of the Twentieth Century into the ownership by the LYNCH family some fifty years later. Patrick LYNCH, the great-grandfather of the current LYNCH family, arrived as a widower in his mid-sixties from Kildare where he had been a charge hand for the JACKSONs. They all show up in both the 1901 ans 1911 Census. It seems that Sir Thomas JACKSON bought the land some time before 1901, presuamably before the 1900 auction held after the death of his great uncle, Samuel BRADFORD where another portion was sold. When the JACKSONs and other family members were away, LYNCH and his two daughters (in their early 20s) lived in the main house. His son, Patrick LYNCH jr. also had a house on the land with his wife and two children. It would take some more work on deeds to document the exact passing of the baton here, but in the mid-50s, relatives of the LYNCH family in the USA helped to bankroll the purchase with $2000. And so, history moves on. Again, thanks to Ronan, I can offer an update and a little more clarity on this part of the story: Tom Lynch (father of Eugene, Ronan, Brendan and Kevin) was married to Nan Lynch (nee Finn) and this is how we tie-in with the Finn household. Indeed it was Nan Lynch's brother Pat Finn who helped to purchase Cavananore for his sister and brother-in-law. The day that I visited was not the best weather-wise, but the charms of the place were evident. The house sits up on a slight rise of land, enough to look out on all sides over unending fields of meadows, hedges and rock wall portioned fields. Originally, there was an orchard of apple trees, a walled garden and also a kitchen garden. Going from the list of furnishings up for auction on March 22, 1876 – after the death of Mary Jane OLIVER – it is clear that the house was more than comfortable and had the ability to host numbers of overnight guests in the style of a middle class or upper-middle class home. So, whether Cavananore is called a “Hollow of Gold” or a “Hill of Gold”, it doesn’t matter. The gift of gold is in the hearts of those who live there now and the warmth of their welcome has been a blessing to me. May they all prosper! References to Cavananore in wills, letters and related documents. 1600s - There were several alternative names for "Cavananore" In 1655, it was referred to as: CAUANOR, in 1658 as CAVANMORE or CAVANDRUMKINS, in 1670 as CAVAN DRUMKIN, in 1683 CAVANOR. It is said to mean "Hollow of the Gold". Amy JACKSON (1874-1962) in her version of the family history referred to it as: Round Hill of Gold. 1654 The Down Survey entry for the Barony of Dundalk shows Sir Christopher BELLEW to be the owner. SEE: Proprietors in 1641 by the Civill Survey of Cavanmore Taughramore Cavan Drumkin Carnahuly Solagagh Enaghvany Clantenay Shanmullagh Trey Dartrim, also Rossoonmre. 1663 Sir John BELLEW (d. 1693), son of Sir Christopher BELLEW was granted the land. For more on the BELLEWs see: Bellew's Castle in the Journal of the County Louth Archaelogical Society, Vol 10. No. 3 (1943) pp180-195. 1690 According to Amy [JACKSON] LLOYD: CAVANANORE (Round Hill of Gold) was granted to the COULTERs after the Battle of the Boyne - from there to twin BRADFORDs, and then to Sir Thomas JACKSON. It wasn't quite that simple since there were a few generations to be bridged here as well as several lawsuits. *NOTE: The twin brothers, Samuel & Thomas BRADFORD were born in 1739. Sir Thomas JACKSON finally acquired full title for the land when it went up for auction on October 31, 1900 after the death of Samuel BRADFORD. 1721 (approximately) the birth of Barbara COULTER at Cavananore. Her father was a Samuel COULTER who had three brothers - Charles, William & John - who also farmed in the area. She married John BRADFORD (likely in 1738) and was the reason that the property ended up with the BRADFORD family..
1768 Agreement between Andrew Coulter & John Coulter This refers to John COULTER of Cavananore as well as Andrew COULTER of Cavananore. Nathanial COULTER and Thomas BRADFORD were witnesses. Nathanial is a brother of Andrew as was John. 1774. The County Armagh Probate records indicate a will for a John COULTER of Cavananore. I have not seen this will and do not yet know where or even if it might be accessed. I suspect that he was the brother of Andrew, Barbara, Elizabeth, Mary & Nathanial COULTER and the husband of Martha COWEN. They had a son, Joseph, who according to the will of Martha COULTER was mentally incapacitated. 1775 August 17 Will of Andrew Coulter of Cavananore the County of Louth. Many of the family links are made clear in this will. Names that come up: BRADFORD, COULTER, DICKIE, JELLY, LEDLIE, MURROW, TIPPING. Anne COULTER, wife of John JELLY and a niece of Andrew COULTER has yet to be identified.This may become the clue to the parantage of these COULTERs and their possible link to the COULTERs of Carnbeg. His sister is Mary COULTER who married John BRADFORD and both Samuel and Thomas BRADFORD are his nephews. 1775 December 27, the will of Andrew COULTER of Cavananore was proved. NOTE: In earlier postings I had his death date as January 6, 1776 - clearly in error. The fact that he was interred in Kane Graveyard would indicate that he was most likely Presbyterian. 1775-1776_Andrew Coulter_Receipts of Legacies These are from December 29, 1775 to January 17, 1776. 1790 April 5 Will of Martha Coulter of Cavananore. Her maiden name is COWEN and she is the widow of John COULTER and leaves a son Joseph COULTER whose mental faculties seem to be impaired– he is mentioned as being in the care of Samuel and Thomas Bradford of Cavananore and a stipend as recompence for this care. 1790, December 20. Death of Thomas BRADFORD at Cavananore. His will was administered in 1791. 1792 George JACKSON to Elizabeth BRADFORD of Cavananore This clarifies Elizabeth BRADFORDs right to freehold property inherited before her marriage. This need is likely occasioned by the death of her husband in 1790 and her need to assert her rights against her only son, Andrew Coulter BRADFORD (see later documents, esp. 1809). 1800s (early) it was said that there were three good houses: those of John BRADFORD, Andrew BRADFORD with his mother and another belonging to Andrew BRADFORD. The remaining houses were of wattle and thatch. 1809 April 21 This agreement is contained in a letter (see 1827 Eliezer Birch GILLMER (GILMORE) to Eliza (BREAKEY) BRADFORD) where Andrew Coulter BRADFORD agrees to give regular annual amounts to his mother and sisters. 1820, April 12 - Andrew BRADFORD is listed as a resident freeholder at Cavananore. This is probably Andrew Coulter BRADFORD (1788-1847), only son of Thomas BRADFORD (1739-1790) & Elizabeth BREAKEY and great-uncle of Sir Thomas JACKSON (who ended up managing the residual legacies). 1827, June 9 Letter to Elizabeth BRADFORD (nee BREAKEY) of Cavananore, wife of Thomas BRADFORD from Eliezer Birch GILLMER (half-brother of Elizabeth BRADFORD (BREAKEY). It contains will extracts from Andrew Coulter BRADFORD as well as an agreement made in 1809. 1832 October 15 in the Freeholder Records, Andrew C. BRADFORD - see above 1820 - is both the resident and owner at Cavananore. Samuel BRADFORD is also resident at Cavananore, but Thomas Bell Esq. is given as his landlord. 1837 Surveyor's Field Books: Cavananore was described as: Shallow, gravelly, clayey arable mixed with rocks knolls and furzy parts and part steep £21.0.20. John Bradford was shown having houses and offices valued at 7.5.0 and Andrew Bradford and his mother had houses and occices valued at £4.14.0 and £26.20.0 respectively. The latter valuations would indicate that the large house on the hill had been completed by this date. 1841 census shows 13 houses and 63 people residing in Cavananore. The population dropped in the decade that followed, as a result of the famine, by more than 50%. Interestingly, the Dickie family is also attached to Roachdale (Rochdale) as they are to Cavananore as well”.This also includes a case brought by Barbara Donaldson after the fact. This is a most interesting case. Barbara Donaldson was the sister of Andrew Coulter Bradford, both of them children of Thomas Bradford & Elizabeth Breakey. Not all the Trustees appointed to deal with A.C. Bradford’s will had wanted to follow through with their duties and the upshot was that J.B. Gillmer was left holding the bag. He then decided on his own to let Bradford’s niece Mary Jane Oliver and sister Margaret Bradford continue to live on the property rather than selling everything off. This meant that those who had inherited annuities (hence Barbara Donaldson) were getting short shrift. The advantage also went to his niece Sally McCullogh wife of Thomas McCullogh of Dunraymond since she still received the bequeathed interest on a bond of £1,100 owed by her husband even though the annuities bequeathed to others were being left unpaid. It was even more galling that the value of the assets were quite probably diminishing due to mismanagement. DUNDALK DEMOCRAT: "Case on John E. Morton esq. re May 1847 Andrew C. BRADFORD devised to illnesses GILMER & McCULLAGH Cavananore William OLIVER, David JACKSON, Andrew OLIVER. 1850 Inventory. This inventory incudes a detailed list of household contents, agricultural tools, and crops. 1852 June 10. A letter from Sally McCULLAGH, wife of trustee Thomas McCULLAGH: As for quietly leaving things as they are it would be rather a rich example to those indebted it to you and Aunt to see you cavalier about [losing?] hundreds by a comparative Stranger I think I might be tempted to imagine I was as well entitled to cheat you myself and believe you would not take proceedings against me - jesting apart. 1854 Griffiths Valuation. Landlords of record included Hugh O'Callaghan, John BRADFORD, Samuel BRADFORD and Mary Jane OLIVER (Her mother was Elizabeth BRADFORD (1785-1825), sister of Andrew Coulter BRADFORD (1788-1847) of Cavananore.). 1861 Census, This shows 8 inhabited houses (down from 13in 1841) and 35 people (down from 63) residing at Cavananore. 1863 Will of Barbara DONALDSON She is described as "of Cavananore". Since she was the daughter of Thomas BRADFORD & Elizabeth BREAKEY and Thomas BRADFORD was a son of John BRADFORD and Barbara COULTER, I would assume that the property followed this line of inheritance. She was the widow of William DONALDSON of Freeduff. 1863 January 14. There is an agreement dated January 14, 1863 referred to in the documents of October 31, 1900 between John BRADFORD and Thomas BRADFORD. 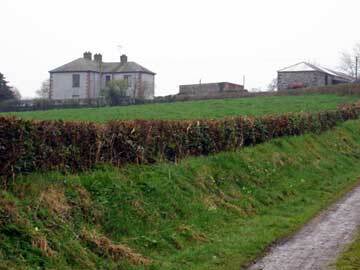 John BRADFORD was described as "situate in the Townland of Cavananore." NOTE: I still need to locate this agreement. 1865 November 25. It is clear from this letter that Mary McCULLAGH née BRADFORD was living here, and her sisters Barbara DONALDSON and Margaret BRADFORD as well as their niece Mary Jane OLIVER would also have been living here at the time. Their grand-niece Mary JACKSON was at least staying at Cavananore, if not living here. 1873 October 3 Letter. McCullagh visit. 1874 September 13 Letter from Mary Johnson to Miss McCready The death of Emily Bradford JACKSON, an infant daughter of Sir Thomas JACKSON who died at Cavananore is recorded in this letter. 1875 Eliza JACKSON to Mary Jane OLIVER It seems that Mary Jane OLIVER was about to put the land up for auction and that her sister Eliza (OLIVER) JACKSON (mother of Sir Thomas JACKSON) had another thought. 1875 October 3. Death of Mary Jane OLIVER, unmarried at Cavananore, age 54. 1876 January 6 The Morton case gives an interesting chronology of the contested land owndership. 1876 February 18 Will of Samuel BRADFORD Although he lived at Carnbeg, he had lands at Annaghvackey and Cavananore that had been in the use of Mary Jane OLIVER. This Samuel BRADFORD is also possibly the owner of Cavananore when it went to auction in 1900. I don't know if he had any male children. He died sometime before 1891, January 19 (see letter beneath). I believe he died in 1881. 1876 March 22nd. The household furnishings of Mary Jane OLIVER were sold off. I have not yet transcribed this list, but the furnishings were extensive and indicated an ability to entertain in a comfortably middle class if not upper-middle class style. They had place settings for 12, as well as 24 sherry glasses. 1898 February 25 - Samuel Bradford Land Case Eliza (Oliver) JACKSON (mother of Sir Thomas JACKSON and niece of Andrew Coulter BRADFORD) was ordered by the court to produce documents relating to Annaghvackey and land divisions that involved swapping some ownership of land in 1823 in Cavananore between Thomas BRADFORD (probably a first cousin of Andrew Coulter BRADFORD) and Andrew Coulter BRADFORD. The current case involved Thomas BRADFORD versus The Reverend W. REID (husband of ACB's great grand-niece and also related through the cousin side - remotely), Eliezer GILMORE (half first cousin and husband of grandniece of ACB) and Thompson BROWN(E) (husband of a grand-niece of ACB), Trustees of the Will of Andrew Coulter BRADFORD (1788-1847). 1901 Census of Ireland. The widower Patrick LYNCH (age 67) of Co. Kildare is shown as resident at Cavananore while Sir Thomas JACKSON is shown as the owner. Patrick LYNCH was a charge hand for the JACKSONs at Kildare. Sir Thomas JACKSON must have bought it at the auction.The JACKSON family also had holdings in Kildare. [NOTE: I need to locate where the JACKSON's Kildare holdings were and who was living there at this time.] There were three dwellings in Cavananore at this time. Patrick Lynch's unmarried daughters, Mary Jane and Bridget also lived with him. His son, Patrick LYNCH jr had a house with his wife and two children. Another caretaker, also from Kildare, Joseph HILL also had a house with his wife and five children. Estate of Patrick O'Rourke.—The price of the lands of Cavananore and Annaghvacky, comprising 152a. Or. 39p., has been fixed and a scheme for their division will be prepared as expeditiously as possible. 1911 Census. By now, Sir Thomas JACKSON owned all the land and the houses. 1923 February 17. One Saturday night, the house was reduced to ruins. 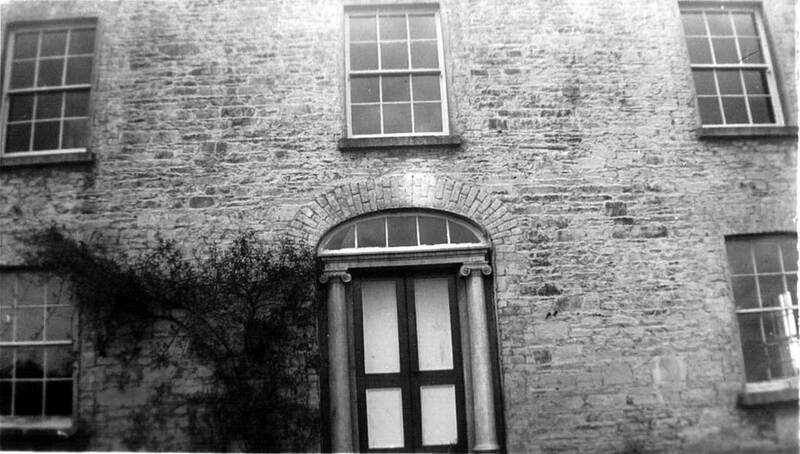 It came about because prior to the truce in 1921, a rumour had been spread that the house was about to be occupied by the Black and Tans. After the truce, the IRA were encamped there. According to an article in the Dundalk Democrat (24 February, 1923) it was used as the IRA headquarters in that part of the country. NOTE: I need to look up this article again. I do not recall why I had the date of February 17th, and can't find my notes on this. 1950s - Tom LYNCH, the son of Patrick LYNCH who had come up with Sir Thomas JACKSON at the turn of the century, bought Cavananore with the help of his uncle Pat FINN in America. They paid $2000 and the land was subsequently divided. The current Patrick LYNCH lives down the road from the original house.